Toss sweet potatoes and chickpeas in olive oil, smoked chili powder, cumin, salt, and pepper. Bake at 400 degrees on a large parchment lined baking sheet for 20 minutes. 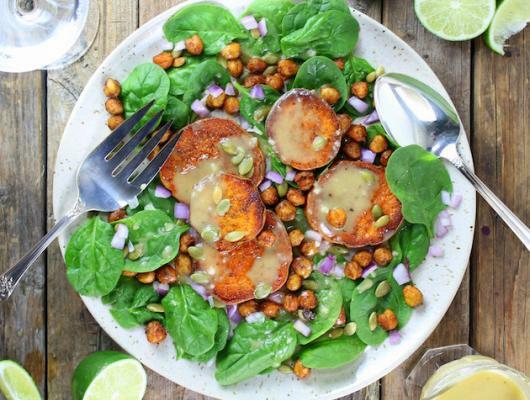 Arrange the spinach, sweet potatoes, and chickpeas on a plate. Sprinkle on pepitas and red onions. Drizzle on the dressing. >> NOTES: Add grilled chicken for more protein. Also, the chipotle chili pepper is spicy... you can swap out with chili powder or smoked paprika for the same yummy flavor without the heat. 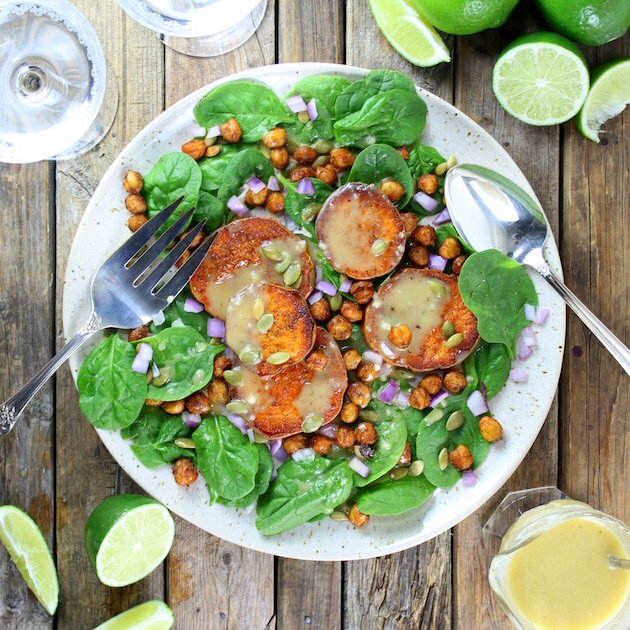 Sweet Potato and Chickpea Salad with Garlic Lime Maple Vinaigrette... spicy, sweet and savory! Low-Carb & Gluten-Free.